The Resident Evil films aren't great by any means, but there's something to be said about how much it appeals to its fans. I may not like any of them, but I've still watched all six of the films so far. Because despite being inane a majority of the time, you still get bits of inspired goofiness much of the video game series is infamous for. It's very hard to deny a creative team so dedicated to a video game adaptation, and they've been rewarded for all of their efforts. 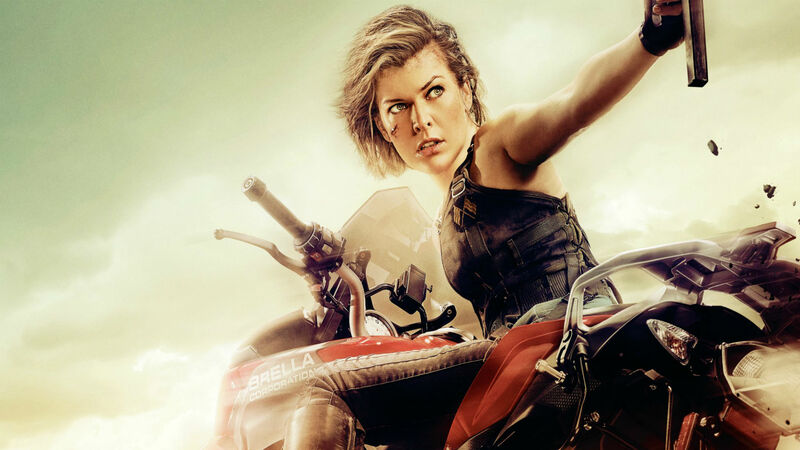 According to Deadline, the Resident Evil film franchise -- starting with the first Resident Evil film in 2002 -- is set to cross the $1 Billion (with a friggin' "B") mark with The Final Chapter earning $35 million in Japan when it first opened in December, and an estimated $80 million by the end of this weekend internationally. I'm sure the huge response was due to the five year gap between the films, and the much touted finale. While the six film long plot did wrap up nicely there's still potential for more; especially when a series makes as much money as this. Whether it's a reboot (though I can't imagine a reboot capturing this series' successfully goofy spirit), or another sequel, I'm pretty sure the latest film is the "final chapter" in name only.